This is one of our most popular dice cups including 5 white dice. Made of solid plastic molded to look like leather - including the stitching! Five white dice are included with blue and red spots as pictured. The included dice measure 1/2 inch across (each). The cup stands 4 inches tall and just over 3 inches in diameter. Inside diameter is roughly 2 1/2 inches in diameter. 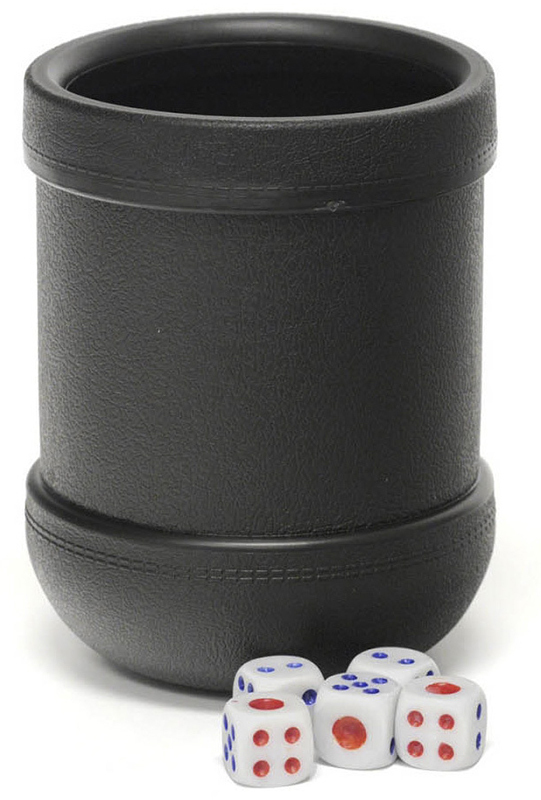 This cup can easily accommodate larger dice including full size casino dice.